These are the words of Iklas Saleh Ali, a Sudanese refugee in the Iridimi camp in eastern Chad. Forced to leave school and marry when she was only 15 years old, she knows first-hand the uphill battle that girls in Chad face. Today Iklas, the mother of four boys and two girls, is tenaciously continuing with secondary school. 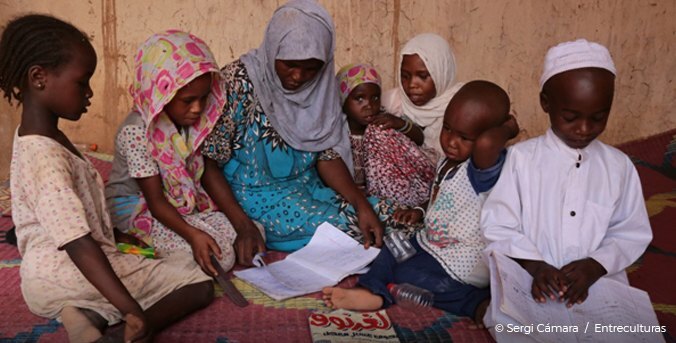 “Education is crucial for my children’s future”.